Fall has officially arrived in New England and we are nothing short of thrilled about the wonderful change in season! What’s not to love about this chillier time of year where the apple orchards burst with fruit, pumpkin patches swell with rotund gourds and overhanging leaves sparkle in a colorful splendor of wonder. To put it mildly, our home state of Massachusetts is stunning right now and should be enjoyed for everything she offers. Flower lovers are especially rejoicing because of the refreshed batch of environmental change that inspiring different textures, pigmentation and overall style. 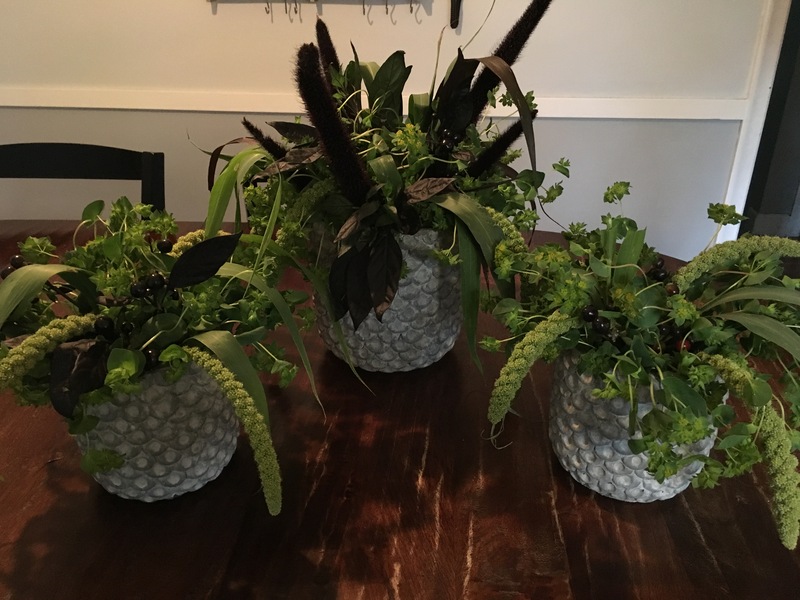 One faction of floral design that is seeing an interesting alternation is the containers where centerpieces and smaller arrangements are being displayed within. While the summer season usually depends on a lot of clear glass and turquoise blue ceramics, the fall months rely on a very different platform to present their blossoms. 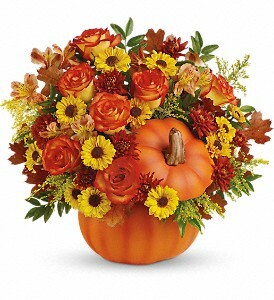 As clever designers often exhibit, their idea of a perfect autumn vase is often decided by its connection to the season. 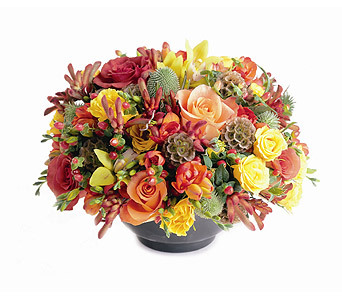 Rich in color, three-dimensional surfaces and warm tints often decide which container will be used for October flower orders. 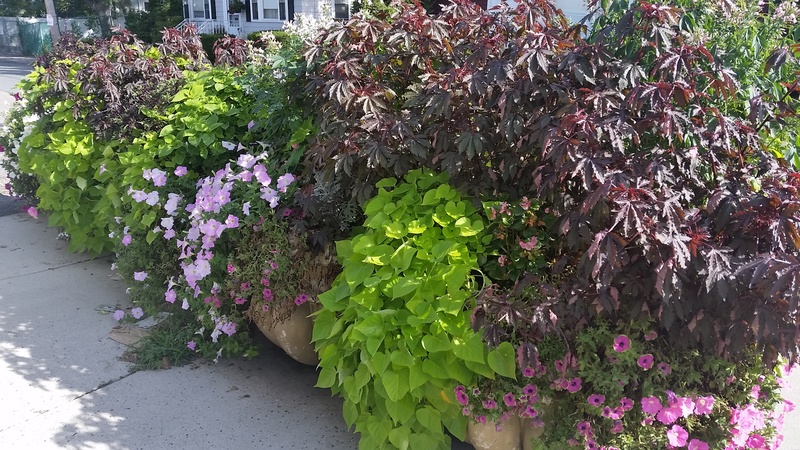 The list seems pretty simple but in actuality, these guidelines make finding proper fall containers somewhat challenging if they’re trying to implement some imaginative ideas in their design work. 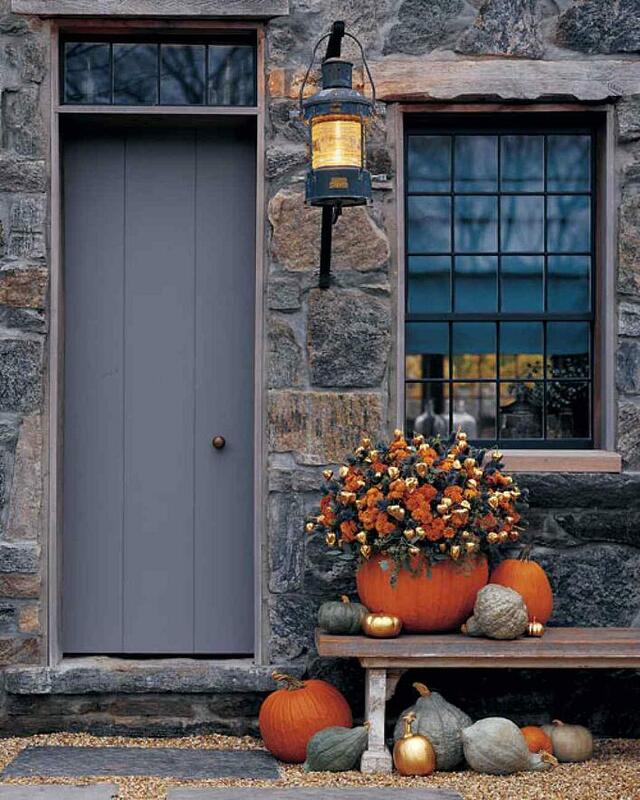 New Englanders are notorious for placing large urns at the foot of their steps and when they are filled with cabbage, kale and chili peppers, they are simple gorgeous for the fall season. Pumpkins and gourds are also excellent options because they will hold water without leaking plus give off an interesting textured look. If you’re going to use glass, try selecting a style that has a soft brown or cream hue to reflect the months of October and November adequately. Right about now our summer gardens are starting to bid their farewell as the vegetables finish up their final yield of crops and flowers bloom for the last time. It certainly can be depressing but there are many ways to keep your green thumbs busy even if the weather is certainly changing towards the cooler temperatures. There’s absolutely no reason why we can’t keep growing during the fall because with the right conditions and a positive attitude, anything is possible for New England’s challenging gardeners! Whether you want to continue nurturing your cultivations outside or enjoy some of your favorite blossoms within your home, there are several ways to do so just by applying a little ingenuity. 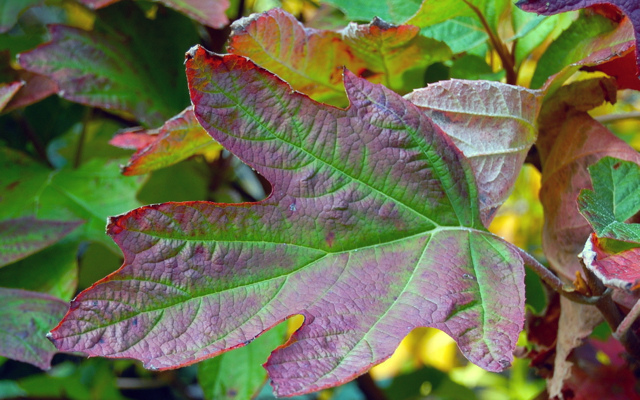 Here are some helpful tips that will get you on your way to autumn gardening in Boston! If you’re looking to bring your flowers and vegetables indoors for the season, there are many varieties that can be successful options. When speaking of flowers, your best bet is to dig up the annuals that you planted last spring and repot them in containers that are big enough to allow growth. Varieties such as geraniums, begonias and cosmos typically move with ease and are durable with slight variations in their environment. The more delicate buds such as nasturtiums are tricky but that doesn’t stop you from beginning over with seeds and starting from scratch. Vegetables are also not impossible to grow inside if you’re clever with what you select to harvest. Good choices would include wax beans, peas, tomatoes and yes, even potatoes. Grab an extra large bin, fill it with dirt and place a rooted spud inside. If you’re patient, you’ll be able to see their foliage begin to grow and three months down the road, you’ll be able to dig up real, fresh potatoes of your own! Things to keep in Mind: Make sure you choose a well-lit area that is close by a heater and water the same as you would during the summer. Feeding your plants every now and again will also keep them healthy and who knows? You might even get them to survive through the winter and into the spring when you can put them right back into the earth for another season of blooming. Although most flowers flourish during June through August, there are species that won’t wilt or wither during September and October. Depending on the weather pattern (a snowstorm will almost definitely ruin a fall gardening project), you can plant mums, asters and even start new seeds of sunflowers if the temperatures are right. Morning Glories (which like the cooler air to sprout from) are also another option, particularly if you have access to a greenhouse. Vegetables happen to be a great thing to reap in gardens during this time of year and options include cauliflower, carrots and broccoli. Kale, cabbage and lettuce will also thrive in autumn and also make lovely landscaping displays, which exhume a fun and festive presentation. They enjoy the chill of autumn nights and the warmth that the days still hold so go nuts and re-plant your whole garden with these babies if you want to! Boston is starting to slide into another season and so aren’t thecity’s florists who are changing their palettes accordingly. The soft pastels and vibrant green and blue hues that traditionally grace the floral vases of summer are beautiful but it’s time to swap things up! Warm tints of gold, red, sienna and emerald are just what we’re looking for to dramatize our creations and omit a seducing taste of what autumn has to offer. Texture, tone and container selection are all part of fall’s new style with simple designs that you can even recreate at home! 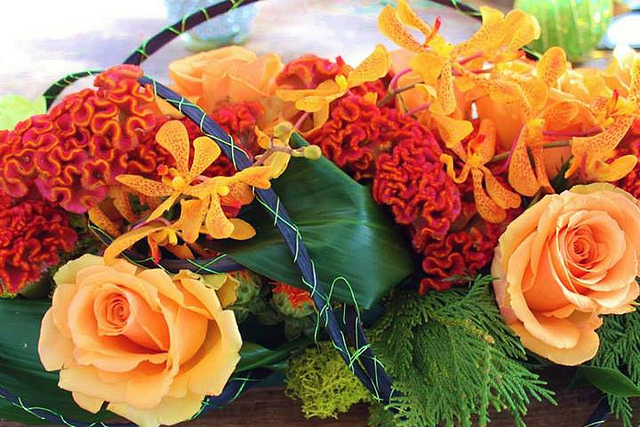 Here is one I whipped up over the weekend that reflects this current fad of flowers, which was not only easy to make but really inexpensive as well. Here are the steps to achieving these three seasonal arrangements for your bedrooms, living rooms or kitchens! A watertight container. Preferably a ceramic dish, bowl or planter that has a bit of wear and tear. 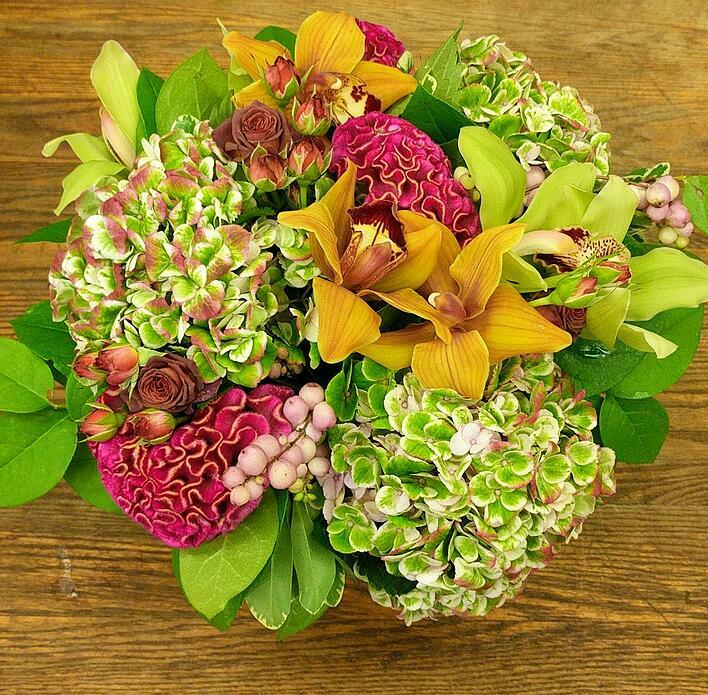 The chips or faded color will just add to the appearance of the arrangement and reflect a fuss-free style. Flowers, flowers, flowers! 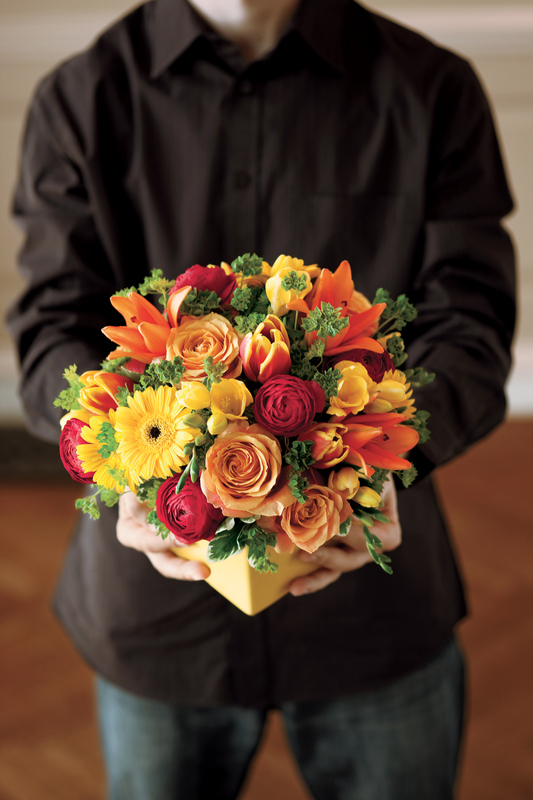 Either take a peek in your backyard or visit a flower shop for these fall ready varieties. If you have one close by, hit a farm stand-they usually have freshly picked goodies that will last and last. In these pieces, I’ve chosen green amaranths, black millet, October-weed and black privet berries but exchange any of these for other options available that you prefer as long as you don’t spend double the amount. All of these flowers cost me less than $25.00 from a nearby farm with fill ins from my own garden so look for the native blossoms first that are usually low in cost. A pair of cutting shears. Try not to use scissors but if you must, cut the stems on an angle to avoid shredding. Fill your container up with warm water-NOT HOT! Steamy water will kill the flowers faster than anything else so keep the temperature moderate. Start with the variety that is most “bushy” and cut the stem to the desirable length, making a globe structure. 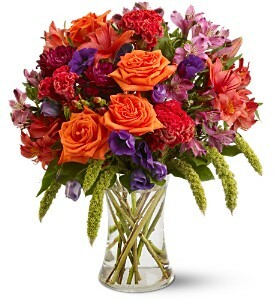 Once you have the base, add in the rest of the flowers placing them strategically throughout the arrangement. Avoid clumping too many of the same varieties together in one place- it will make your design look “clumpy”. Use whatever sprigs are leftover and place them in bud jars for the bathroom or entryway. 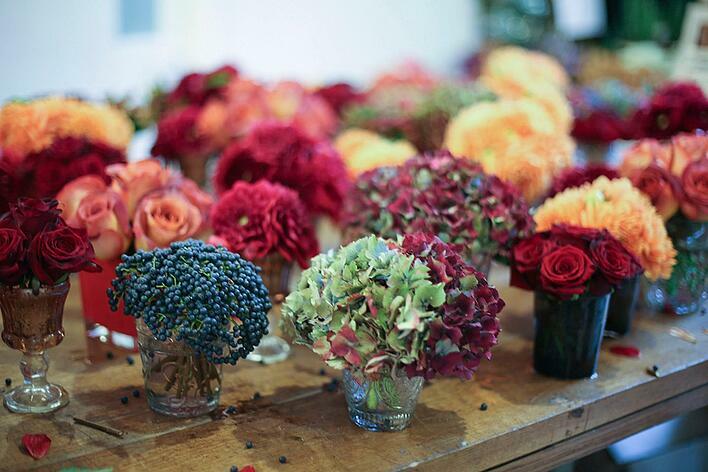 Never, Never, NEVER throw out flowers that can be used somewhere else and ENJOY!